SGGS holds monthly meetings at St. Mark's United Methodist Church in Sacramento County. will fill up faster than the conference itself. 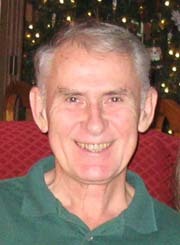 Longtime volunteer Michael Mayer-Kielmann passed away on Dec. 9, 2018. Additional details can be found on the German Mentors page (scroll to bottom of that page). Correction – The January 2019 issue of Der Blumenbaum contains an error one article: Ingeborg Carpenter, mother of two American Children, becomes a natualized U.S. citizen. Download corrected article. GIACR – SGGS has just purchased six additional volumes of the Germans Immigrants in American Church Records series for donation to the Sacramento FamilySearch Library. Scroll to the bottom of this page for more information. New DB Index – Shirley Riemer just completed an update to the Der Blumenbaum index, now posted on the Society Documents page in the members-only section. This new version is current to Volume 36, Number 2 (Oct. 2018). The SGGS Blog – SGGS now has its own Blog! Marilyn Simleness, the new Membership Director, wanted to find a way to reach out to more of our members in an interactive way. It is in its infancy, but our new blog has great potential for growing our organization, welcoming new members, and responding to concerns or questions of our members. At first, posts will be made on a weekly basis. We hope you will take the time to check out The SGGS Blog! German Mentors have Returned! 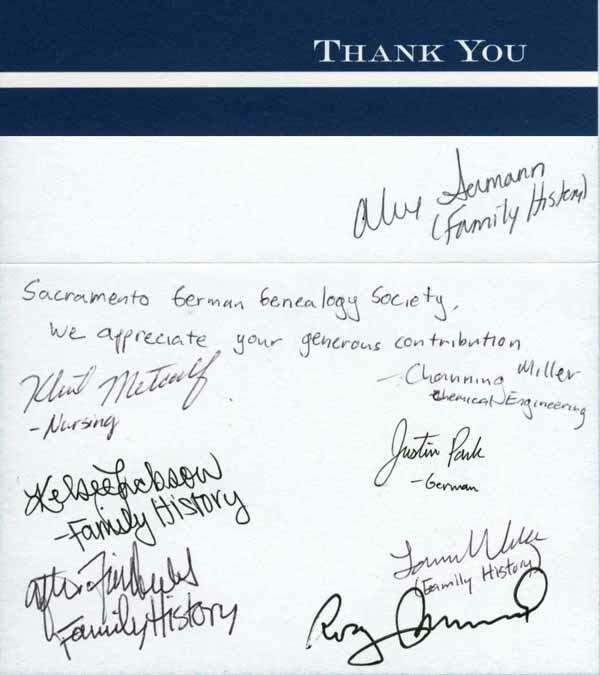 – SGGS is working with the Sacramento FamilySearch Library (Eastern Ave.) to restart the Thursday afternoon German mentor program there. With one volunteer currently available, the first session occurred 1 to 4 pm Thursday Sept. 27. And repeats every 4th Thursday. Additional weeks will be added if additional mentors can be recruited. "This series is one of the most important, most professional, immigrant identification databases published in the last 100 years." Since 2005, Dr. Roger Minert and his group at Brigham Young University have been transcribing, indexing and publishing German-American church records in a series of volumes called German Immigrants in American Church Records [GIACR]. A current list is presented below. All are Protestant records. Shelf at the Sacramento FamilySearch Library. This project has been funded by Brigham Young University and some private donors. Unfortunately, said funding has lapsed beginning 2016. So last year SGGS provided a donation to help sustain their 2016 operation and appealed to readers of Der Blumenbaum to do the same. Click here to view a thank-you from the project staff. As volumes became available, SGGS has been purchasing one of each for the Sacramento FamilySearch Library (on Eastern Ave). For SGGS members, more information can be found on page 11 of your July 2015 issue of Der Blumenbaum. But the donation instructions in that article turned out to be incorrect. If you would like to make a personal donation to this project, mail a check payable to "Religious Education BYU" to the following address. Be sure to also mention you're donating to the GIARC project. Some GIACR volumes are sold by SGGS at its meetings. Online sources follow. Click here for Family Roots Publishing (expected to be the new supplier). Click here to visit the organizational structure page. 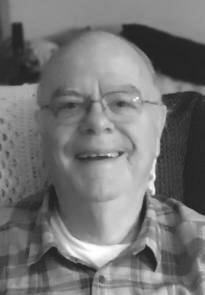 Presented by Alton Sissell, a key volunteer at the Sacramento FamilySearch Library and a genealogist since 1977. SGGS will hold its Study Group at 11 am followed by the general meeting at 1 pm. More information. Strike it Rich! with Connects 2 Discoveries! 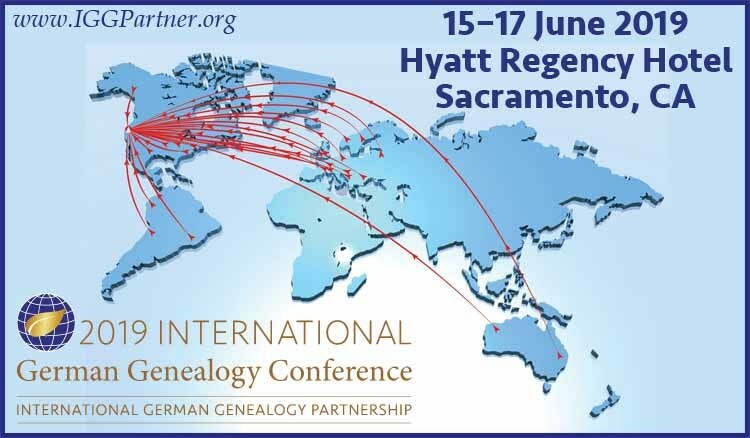 Come and join us at this international conference taking place in Sacramento.